News Flash: The Woodlands has no shortage of high-end steakhouses. It’s hard to get excited about yet another one. Maybe this one will be different. 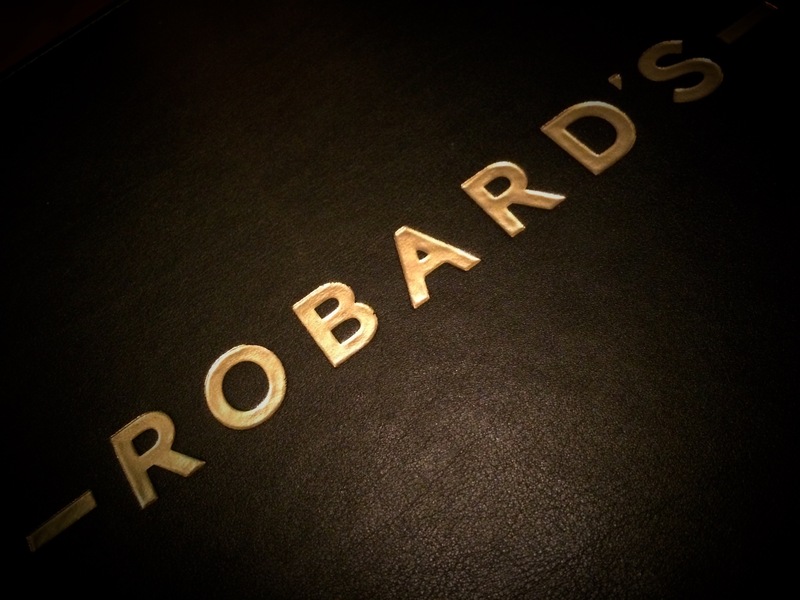 We’d been hearing lots of buzz about Robard’s, the new freestanding steak house that was built as part of the multimillion-dollar expansion of The Woodlands Resort and Conference Center. But we had our concerns – hotels are rarely known for interesting cuisine, typically taking the safer route over the more adventurous. 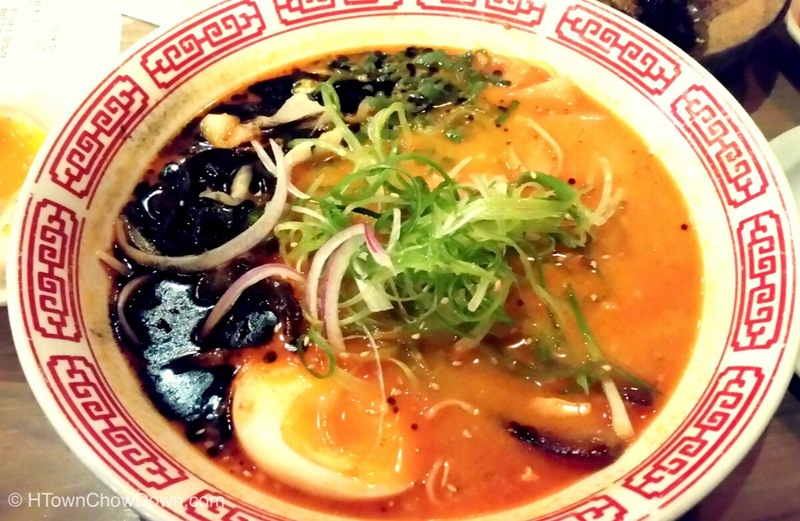 So on a recent evening, we stopped by Robard’s to sample their cuisine. 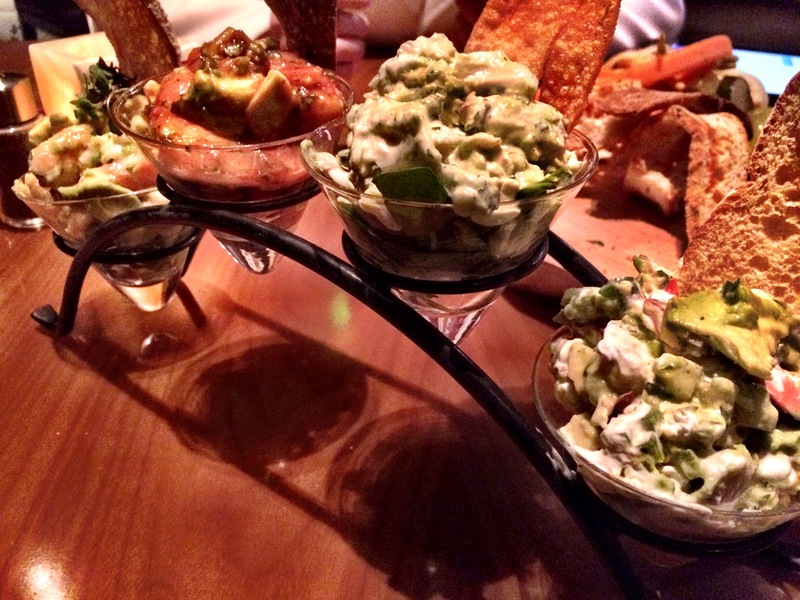 On this visit we purposefully avoided the signature steaks, instead focusing on the intriguing appetizer options. We ordered a selection of appetizers. Chris Perry, GM of Robard’s (and our host) supplemented our choices with the appetizers he thought we should investigate. Here are our impressions. First up was the beef tartare. Beautifully presented on a large slab of wood, a half-pound of chopped prime filet is garnished with house-pickled vegetables and crostini drizzled with sriracha. The beef was wonderfully lush and rich, with just enough zing from the capers and onions to keep things interesting. 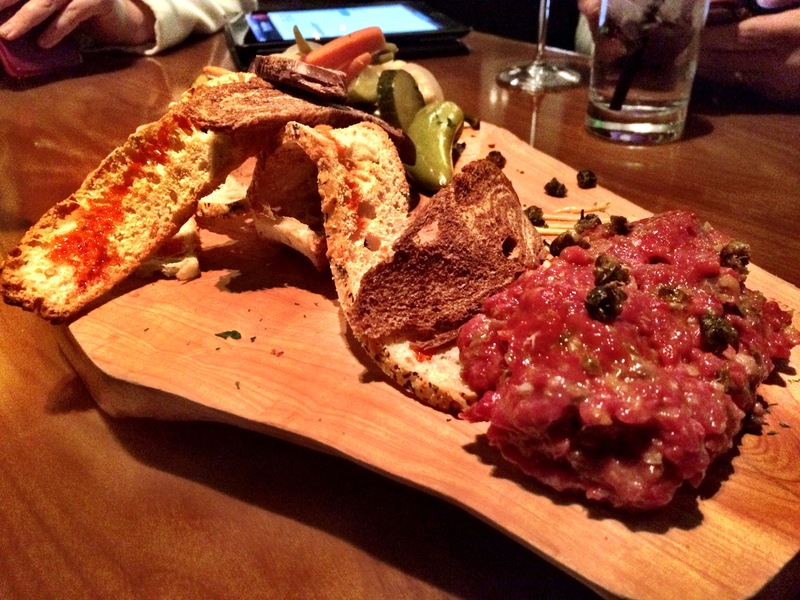 This is easily one of the best beef tartare we’ve tried, measuring up well to our benchmark at Tony’s. Next up was the seafood cocktail flight. Large shrimp, lobster chunks, and lump crab meat are served in a quartet of different preparations, from a fresh take on the traditional cocktail sauce to a guacamolito to two zesty and creamy preparations. This is a great way to sample the kitchen’s expertise with seafood – everyone in our party had a favorite, and none of us agreed on which one it was. 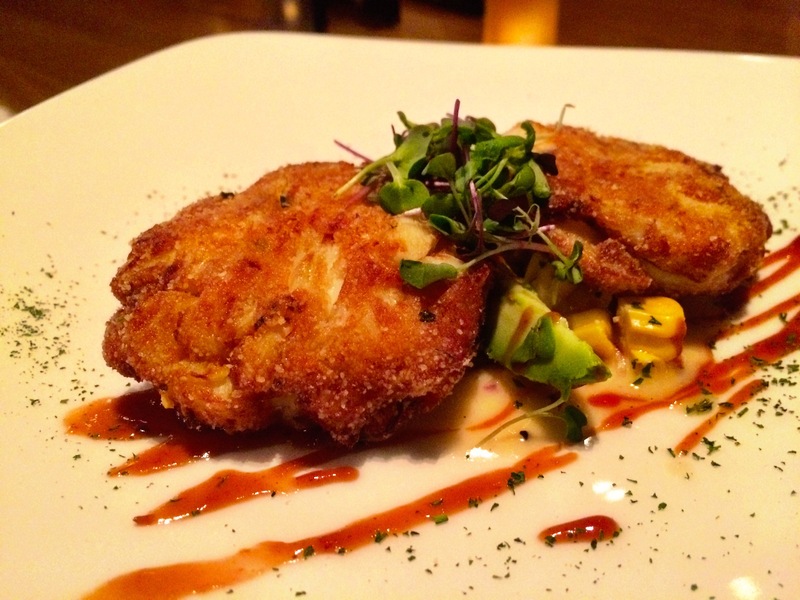 Crab cakes are de rigueur at any self-respecting steakhouse, and Robard’s did not disappoint. Jumbo lump crab meat is mixed with only enough binder to provide form and stability, then lightly breaded and fried. The crab flavor comes through confidently, and we applaud the result of more crab and less cake. Now things get really interesting. Candied bacon on french toast with maple syrup. This sounds like an incredible breakfast indulgence, but the inclusion of bits of pungent bleu cheese balanced the sweet/smoky bacon, the gently crisp toast, and the decadent maple syrup. 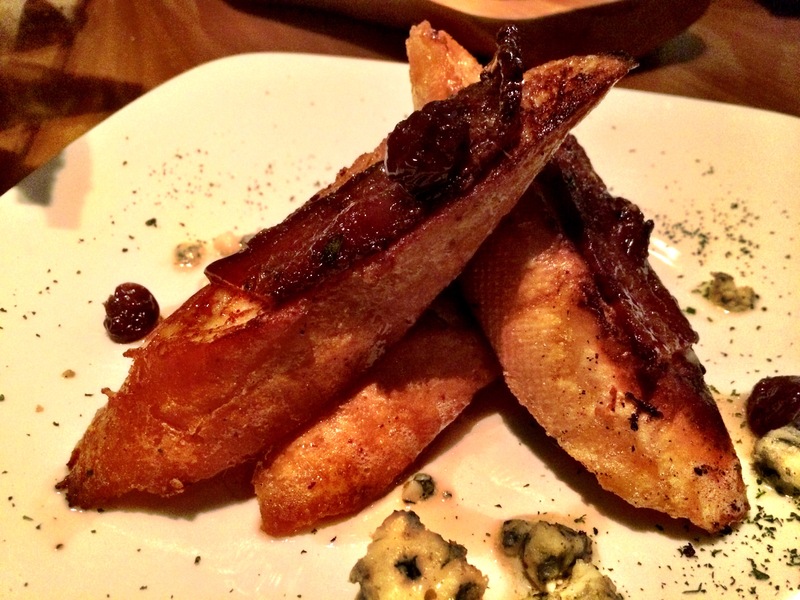 We’d have never considered adding bleu cheese, but it was a masterful stroke. 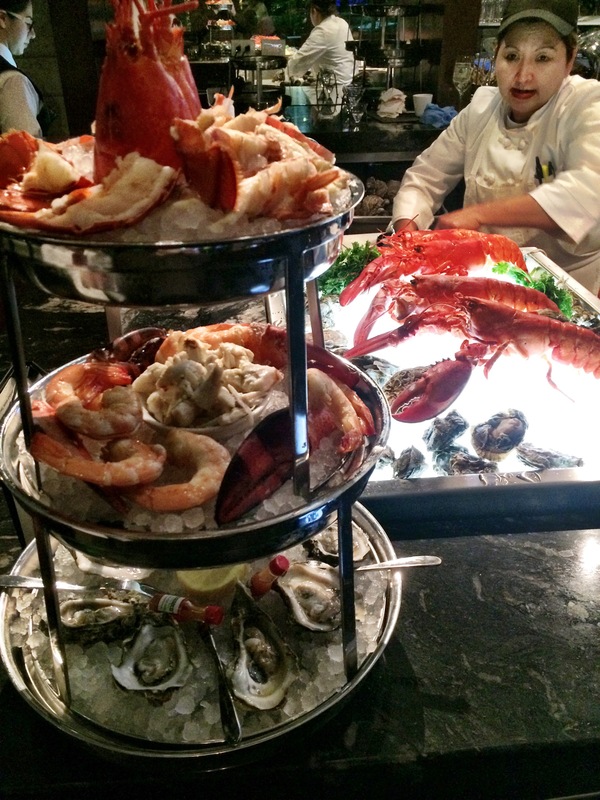 Finally, the seafood tower. A cornucopia consisting of two cold boiled lobsters, huge boiled shrimp, cold jumbo lump crab meat, lobster claws, and oysters on the half shell, this beautifully presented, towering bounty of the sea is sure to impress any serious seafood lover. We were very pleased with the preparation of each individual component; clearly the kitchen at Robard’s knows how to handle fresh shellfish. We walked away from this tasting anxious to come back and sample the other offerings. If a steakhouse takes this care with the preparation and presentation of its appetizers, we can only imagine how much attention the dry-aged prime steaks must receive. Disclaimer: We dined as the guests of Food and Beverage Director Michael Hammes and General Manager Chris Perry. 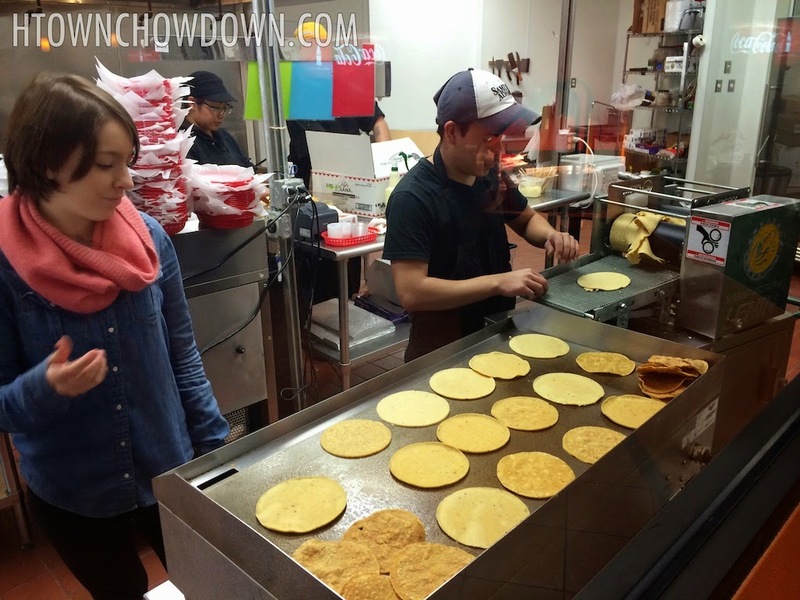 Their generous hospitality didn’t lessen the impressiveness of the food that was served. I have eaten here twice already. Both times we had very good food. The lady that prepares the seafood towers and oysters on the half shell behind the bar takes pride in what she does and it shows in her dishes. Very helpful the last time I went in and had a drink at the bar.